I have created scores of information products, so I remember very clearly what it is like when you first start out with nothing. Like anyone else, after writing my first ebook, I went online searching for ways to promote it. I read a bunch of articles and blog posts which told me to use marketing methods such as Pay-Per-Click advertising (PPC, i.e. Google Adwords), and buying ad spots on popular websites. Don’t get me wrong, those are indeed excellent marketing avenues, but the one thing they have in common is that they are not free. I don’t know about you, but the reason I initially started creating information products was to make more money. I simply did not have funds to invest into my marketing budget. I actually couldn’t even refer to it as a “budget” because when you have nothing, there is nothing to budget. So what is the next option? Marketing via free methods. I came across many different ways to get my ebook some exposure, and not a single one of them even came close to the results I got through joint venture giveaway events. Joint venture giveaway events are pretty simple actually. A bunch of Internet professionals, who are involved in a common niche, get together and each contributes a free product that will be given to participants of the giveaway. This format is very effective because you have buyers and sellers, who want what each other is offering (traffic for free stuff), all congregating in the same spot. I have done many of these, and I got great results from them. Mostly I use them to build my mailing list, and then pitch them over and over again via email marketing. I have gained, at times, more than a thousand new subscribers in a matter of hours. Do you have any idea how much a thousand, prequalified subscribers are worth? If used correctly, it could mean thousands of dollars in revenue in the long run. After participating in these events, I have tweaked my strategy so that I get the most out of the event. There are different rules for each event. Some charge you a membership fee to enter as a contributor, and some do not. Some require that you have a mailing list of over 1,000 subscribers in order to participate, and some have no minimums. Ideally, as a green horn you will want to find events that have no fee and no minimum subscriber count. They are harder to find, but not impossible. The best way to find them is by loitering the marketing forums. Eventually, with enough persistence, you will find a JV giveaway that suits your needs and budget. If you are going to contribute a free product in the event, I strongly urge you to create an information product exclusively for the event and nobody else. This will make the notion of a free product more enticing, simply because it is not available to download or buy anywhere else on the web. One method I use is to create templates, a set of them actually, that the participants can use immediately in their own products. What kind of templates? You can offer ebook templates, squeeze page templates, WordPress templates, and even Joomla templates. They are all in demand. With templates, you can put a link back to your site in the footer and you can reap benefits from all angles. You will be building your list, marketing your site, and selling your ebook; all at the same time. I am not a graphic designer, I have about as much art talent as Andre the Giant from the WWF. However, I am good with layout and using Photoshop to mock up a page and then slice it up with Dreamweaver or any other HTML editor. These skills allowed me to create some good squeeze page templates that people wanted to use. I know everyone will tell you to use Aweber for building your mailing list. The problem is that Aweber, and other sites like it, charge you to use their services. Some have a free trial where your first 500 or so email subscribers are free, then they start charging you. These email marketing services are all good, and offer quality support, but I personally hate the thought of my mailing list residing somewhere I have no control over. I would much rather use my own mailing list software instead. There are several open source (free) email marketing software packages on the web that could handle all of your lists. Software like PHP List can be setup and running in under an hour, provided you have the ability to upload and configure the options. If you can’t do it then a paid service would be perfect. I always create a new list for each giveaway event, so I can tell exactly what I gained by participating. I then create a full set of promotional emails, using an autoresponder, in advance. The autoresponder will let you schedule years of emails if you want, making the process automatic. This would be the perfect method for pitching your ebook, since these people all expressed an interest in your niche to begin with. As you can see, there is much to be gained by contributing to a giveaway event, whether email subscribers or just straight sales of your ebook. I suggest you network with other marketers in your niche, and even suggest putting together a giveaway event if there aren’t any established already. This is one avenue that is practically guaranteed to build your business, and information products are a perfect fit for giveaways. Guest author James Junior has been an Internet marketer for nearly 10 years. 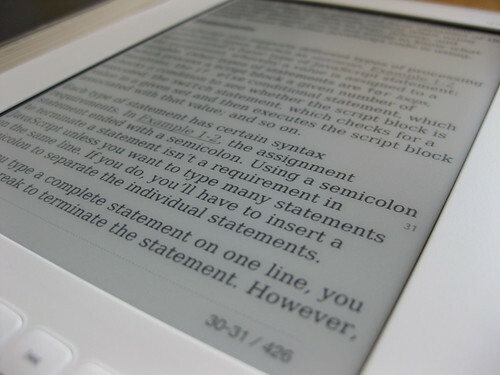 Are you struggling to get your eBook exposure? Are you on a limited marketing budget, such as zero? Well, his new eBook “No Cost eBook Marketing” can show you how to market your eBook using a multitude of methods that cost you nothing. To get your FREE copy just visit his website. Image credits Andrew Mason.